California’s public higher education is quite unique from other states. California severely restricts student access to its four-year universities, which has resulted in California ranking towards the bottom of the country in terms of bachelor’s degree attainment. Not only does California rank poorly for bachelor’s degree attainment overall, the results are worse for Blacks and Latino students, who are concentrated in the community college system. 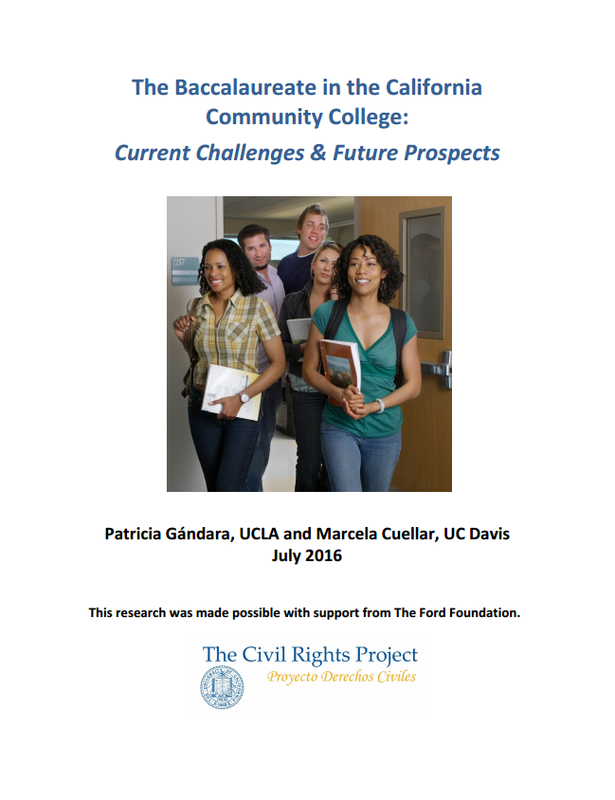 In this report, the authors evaluate the possibility of expanding bachelor’s degree programs within community colleges as a way to, 1) expand the overall percentage of California’s population with a bachelor’s degree, and 2) expand the percentage of California’s Black and Latino populations with a bachelor’s degree. In the report the authors conducted case studies on community college bachelor’s degree programs in Florida, Texas and Washington (state). The report finds that community college bachelor’s degree programs can offer underrepresented minority students expanded access to a bachelor’s degree, as these programs are, 1) cheaper than four-year universities, and 2) are able to attract significant numbers of underrepresented minority students. The report concludes by stating that California should play close attention to enrollment and completion rates of underrepresented minority students in community college bachelor’s degree programs, to assess the value the program plays in increasing access to a bachelor’s degree for these populations.